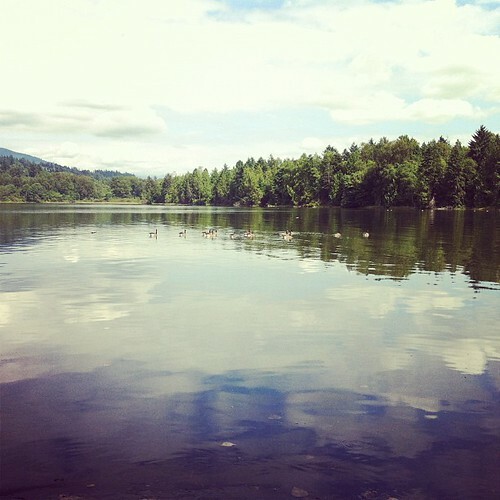 This past weekend our family visited Rocky Point Park in Port Moody. We were hardly alone – it felt as if half the Tri-Cities was there with us, playing in the spray park, swimming in the pool, launching their boats, going kayaking, picnicking and playing impromptu pick-up soccer. Locals are all too familiar with this park’s popularity. The cars cruising the parking lot and surrounding roadways are testament to how quickly the spot fills up on a sunny Saturday. If you’re planning a day at Rocky Point Park, you’ll want to get there early to guarantee a good spot to use as your “home base”. The park and the parking lot fill up quickly. If you’re willing to fork out for parking and you don’t relish the idea of driving around, Port Moody Station Museum offers parking by donation most days, and there’s usually space in their gravel lot just on the other side of the overpass. Or, of course, you could also walk, cycle or take transit. On a holiday or weekend, there’s plenty of parking just across the Moody St. overpass in the Port Moody West Coast Express station parking lot.